Lathrem Homebuilders is not your typical custom homebuilder — we are passionate about building and committed to delivering on our promises. Our experience within all phases of the construction process as well as our practical knowledge and appreciation for a wide variety of design styles enables us to deliver remarkable results. Decades of experience coupled with our quest for continual improvement and a commitment to personal and technological development put us on the cutting edge of our industry. We believe that truly superior homes are built by people of high character, whose values are marked by honesty, accountability, and a dedication to doing things right the first time. Based on these timeless principles, our goal is to create long-term business relationships; to treat every project as if it were our own; and to stand behind everything we say and do. Our approach is simple. We make a commitment to deliver an enjoyable experience so that our clients will want to build with us again, and again. We invest time in creating relationships, which in turn leads to greater value, higher quality and a better process. Communication, honesty and transparency are the keys to our success. Mike Wachs Construction Co., Inc. Since 1971, Mike Wachs Construction Company has built many of the finest custom homes in Southern Arizona. Our wealth of knowledge, experience and impeccable reputation provides our clients with peace of mind from the beginning to the completion of your new home. When it comes to building fine luxury residences, no one surpasses the beauty, quality and craftsmanship of a Wachs home. 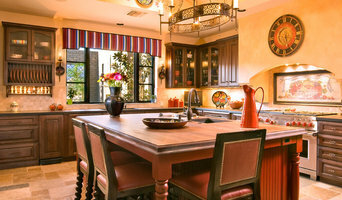 Kachina Custom Homes Inc., builds quality custom homes in many of Tucson's premier communities. Contractor Michael Arnold, founder of Kachina Custom Homes, built his first home in 1977 and since then has overseen the completion of over 80 custom homes . These homes in Oro Valley and Tucson range from 2,500 to 6,000 square feet and were each designed to meet the individual customer's needs. Michael's expert attention to detail and dedication to the utmost quality sets Kachina Custom Homes apart from other custom home construction companies in Arizona. Michael Arnold is the sole supervisor and builds at most two homes at one time to ensure a high quality level throughout the entire building process. Every Kachina Home is treated as just that: someone's future home - not simply another job site. "BUILDING THE DIFFERENCE" Lorin Jacobson founded Jacobson Custom Homes, LLC in 2008 in Tubac, Arizona with one mission: to provide the most professional and pleasant custom home building experience possible. Relying on years of local experience, Lorin provides a no nonsense approach to systems, scheduling and technology, insuring the most hassle free project management available. Lorin comes from a family tradition of custom homebuilders; she started in the family business in 1990 with her father in Chester Springs, PA . Jacobson Custom Homes (which Lorin ultimately became president of) has been covered by the Wall Street Journal and Custom Builder magazine. Lorin has long held a passion for impeccable quality and service. Since 1999, Lorin has been catering to the residential and commercial clientele of Tubac and Green Valley, Arizona. These communities are renowned for a laid back, Southern Arizona lifestyle that includes, golf, bird watching, hiking, wine tasting and fine dining. As VP of construction for local area builder for almost 10 years, Lorin led the teams in the building of many of Southern Arizona's legendary planned communities in both Tubac and Green Valley. Jacobson Custom Homes has built a reputation based on trust and service. Projects range from a bathroom remodel to multimillion dollar ground up custom homes; from tenant improvements to complete management and building of art galleries and office buildings. The company is leading the way in implementing new green technologies in to there projects, including photovoltaic electrical generation, radiant floors, recycled blown-in insulation, solar water heaters and more. Delivering quality is our overriding concern in all aspects of every house remodel or home building project we do here in Tucson. Stewart Construction is meticulous in our attention to detail and have the experience and knowledge to anticipate and adapt to any challenges that may arise during custom building and construction projects. Linwood Development Company is a Tucson, Arizona based innovative full service turn-key Real Estate Consulting firm. Specializing in the Integrated approach to assessing correcting and building residential and commercial structures based on the " whole building as a system," concept. Experienced Builder/Developer, past projects duties include providing conceptional passive solar design strategies, commercial/ industrial Development Plan Reviews, Submittal for the approval process for the development of two CI-3 zoned lots located in Pima County, North Highway Dr. Project Management responsibilities for the successful Industrial Development of Industrial Zoned Real Property purchased and oversee the entire turn -key project. Provide all construction management duties to complete the construction of a new 5,527 sq.ft. Aerospace Optical Engineering and Manufacturing facilities. duties and advanced green building science principals and construction methodologies based on the engineered for life Design/Build Approach. Knowledgeable with practical infield experience as a Green Building Initiative builder/developer and Adoptee of the AIA's 2030 c Challenge practicing innovative leader in the Advanced Thermal Building Sciences and Technological Principals.and Methods. The integration of Value Engineered Design principals during the projects conceptual green building design stages, followed by the proper specifying green building materials which will integrate with conventional materials with out adding costs from conventionally constructed buildings. Outline, implement energy efficient design strategies, technologies and opportunities for each project. Integrating Advanced thermal engineering principals incorporating innovative net-zero high performance thermal building envelope technologies. This environmentally preferable approach, selective use of cost-effective construction materials and high performance green building technologies and methodology garrenties our client an affordable high performing and comfortable building, for a lifetime. Applying the appropriate advances in technology to building component systems, the design/build approach, implemented with conventional building construction engineering principals and green practices, Solar Built green building products and systems have an established track record of proven life time performance, use of proven and widely accepted building materials and systems. Custom building and remodeling of Energy Efficient homes in Tucson, Arizona. National leader in Green building practices, energy conservation and solar power. John Wesley Miller Companies provides full-service custom remodeling that includes additions to your home, interior remodels, plans and designs. We also specialize in energy efficiency, environmental building and utilizing solar energy. Established in 2007, Dove Mountain Homes provides general contracting services for high-end custom residences in and around Tucson, Arizona. Our team makes the new home building process fun and stress free regardless of whether you are already living in town or in another state while we build your home. We approach each new home with creativity and attention to detail, starting from the first meeting at our design center and continuing throughout the project. In addition to custom homes, we are the general contractor for The Ritz-Carlton Residences, Dove Mountain - luxurious semi-custom and custom homes surrounding the Jack Nicklaus Signature Golf Course at Dove Mountain adjacent to The Ritz-Carlton, Dove Mountain Resort & Spa. Tierra Verde Custom Homes helps with remodels, additions, refurbishing, and new custom homes and will always design and build within your budget. We have assembled a network of the most talented and creative building professionals in the Southwest. These journeymen craftsmen share Tierra Verde's commitment to quality and excellence. At Hartman Construction we strive to deliver the best service using the best products available. We utilize environmentally friendly products whenever possible. As a custom home builder by trade there is no project our team of experts can't handle. Communication Building a home is a fun and invigorating process. Too often a clients experience is one of frustration and unfulfilled promises. Morgan Bros. has developed a pre-build process and work-in progress system for eliminating guesswork perpetuated by the lack of organized communication. Organization We are organized! We have building systems in place that insure our ability to deliver on our commitments. Typical construction schedules dictate we schedule with our contractor/partners 3-4 weeks prior to the actual execution of work. Our construction schedules are not random or haphazard. We do not quote delivery dates that we cannot meet. We allow for delays, they are a part of the construction business. We will not use delays as an excuse for being late. We will deliver on time. Obviously, the quantity and complexity of change orders as determined by the client will effect the schedule. Professionalism We are professionals. We partner with professionals, not low bidders. Our contractor/partners use superior materials, pay their technicians competitive wages, and deliver on their commitments to Morgan Bros. The majority of our contractor/partners has been with us for many years and has been chosen by their ability to stand by their work long after the clients have moved into their new home. Quality The term is tossed around like a hot potato but it is appropriate. We deliver superior quality beginning with the way our homes are designed, the contractor/partners we work with, the materials we specify for a Morgan Bros. home and the on-site supervision/project management activities of our superintendents and foremen. Established in 2004 Cornerstone Homes is locally owned and operated. We are a family based builder that has a wide-range of experience in multiple areas of the building industry since 1983; production and semi-custom, custom, luxurious custom and commercial. As you browse our Website you will notice that we have the ability to provide your first home or your dream home - in one of our existing communities or on your own lot. Building homes is our passion and we have confidence the building industry will continue to strengthen. We believe that the “American Dream” of home ownership is still alive and strong and we understand and respect the importance of your investment. Cornerstone Homes is committed to building a quality home for a great price. We have a flair for design and the capacity to deliver. Thank you for visiting our Website and for giving us the opportunity to build your “American Dream”. As one of Tucson's finest custom home builders, we are confident you will find that we offer the custom home building solution you have been looking for. 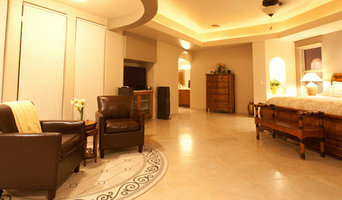 We have been builders of luxury custom homes in the Tucson area for over 33 years. Our uncommon experience and commitment to quality defines our custom homes. We build with a variety of methods and materials including green construction. Many of our custom homes are built in Stone Canyon, Starr Pass, Oro Valley, Honey Bee, Coyote Creek, Canyon Pass, Pima Canyon and many more luxury developments in Tucson. Builders in Tucson offer a variety of products at different levels of quality and service. 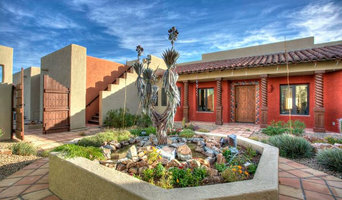 Golden Star Properties offers consistent excellence in custom home construction in Tucson. Our innovative approach to building custom homes and our commitment to quality make us one of Arizona's best home builders. As a family company, we feel that our work is our legacy. Every home we build is unique, and constructed with the highest level of quality and attention to detail. For Tucson residential home builders who also act as developers, the job starts well before the first nail is driven. They perform local market research to determine whether the prospective homesites make sense in the Tucson, AZ market, as well as survey the land on which the house will be built to make sure it is suitable for construction. Custom builders also obtain the necessary permits. A good custom home builder in Tucson, AZ has skills that go far beyond construction — he or she must supervise subcontractors and artisans; keep tabs on local zoning regulations, building codes and other legalities; inspect work for problems along the way; and perform dozens of other roles that are essential in building a quality house. Here are some related professionals and vendors to complement the work of home builders: Interior Designers & Decorators, Landscape Architects & Landscape Designers, Architects & Building Designers, Kitchen & Bath Designers, Specialty Contractors. House builders are responsible for ensuring that the home-building project sticks as closely as possible to the specified timetable, particularly in the event of change orders. 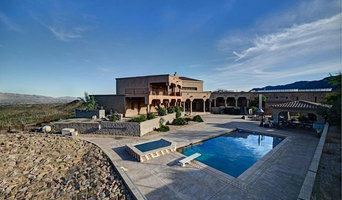 Custom and luxury home builders in Tucson, AZ also need interpersonal skills to deal with clients of all types, soothe frazzled nerves, negotiate conflicts and resolve problems. 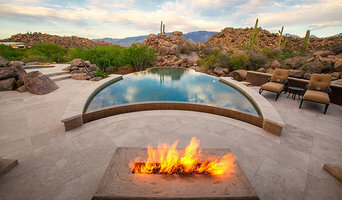 Find custom home builders in Tucson, AZ on Houzz. Narrow your search in the Professionals section of the website to Tucson, AZ home builders. You can also look through Tucson, AZ photos to find a house you like, then contact the builder who worked on it.